Bylaws - what are they? The Bylaws are the guidelines for the operation of the HOA. The Bylaws define the duties of the various offices of the Board of Directors, the terms of the Directors, the membership's voting rights, required meetings, and notices of meetings, and the principal office of the Association, as well as other specific items that are necessary to run the Association as a business. The Bylaws for the association may be viewed within the Documents section (link to the left) of this site. HOA assessments - will they ever go up? The HOA fee can be raised (or lowered) annually. The Board of Directors may increase or decrease the annual assessment for each lot as required by the annual budget adopted for such fiscal period. Please reference Article IV, Section 8 of the HOA bylaws. Any director may be removed from the Board with or without cause, by a majority vote of the Members of the HOA. Any director who misses three (3) consecutive meetings of the Board shall be removed from the Board at its option. How do I get involved with the HOA? The HOA is almost always needing additional volunteers to be on the various committees. To be a member of a committee you must be in "good standing" with the HOA - meaning you must not be in arrears of your monthly HOA assessments or fines. In need of immediate members for the Architectural Review Board, Covenants Committee, Landscaping Committee, and Social Committee. For additional information on the various committees select the "Committees" link to the left. Each year at the annual meeting there are at least two Board of Director positions that become vacant. The HOA will begin soliciting nominations a few months in advance of the meeting, and votes will be cast prior to (online or via written proxy) or in person at the annual meeting, to determine the new Board of Director members. Click on the "Contact Us" link and send a note to the committee you are interested in or to the Board of Directors. The committee chairperson or someone from the BoD will contact you to get you started. Who manages Linton Crests Homeowners Association? 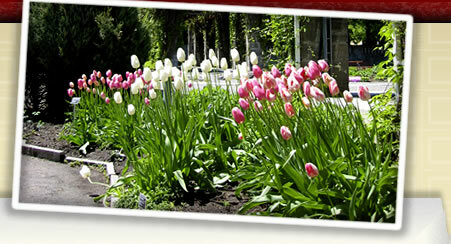 The day-to-day management is handled by Cardinal Management Group. Our Property Manager is Laura Goguet. The address and contact information can found under the "Property Manager" link on the left side menu bar. 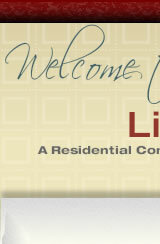 You can also send a note via the "Contact Us" link, select "Property Manager". What happens if I do not pay my monthly assessments or if I am past due? After 30 days, the HOA may: a) upon notice to the owner declare the entire balance due and payable; b) charge interest and a late fee of such amount as is determined by the Board; C) bring action at law or in equity against the owners of the lot to collect the same; and d) foreclose the lien against the lot. Please reference Article IV, Section 11 of the HOA bylaws for additional information. Why do I have to ask permission to change exterior features of my property? The Design and Maintenance Standards are enforced by the Covenants Committee and are the governing legal documents that are intended to assure that the standards of design quality will be maintained consistently throughout the community. This protects property values and enhances the overall community environment. Failure to abide by the standards may result in a fine to a homeowner by the HOA. The governing legal documents for the association may be viewed within the Documents section (link to the left) of this site. Recycling - what is the pickup day and what can I recycle? Republic is responsible for picking up recyclables in Linton Crest. Our scheduled collection day is Thursday. Please have your recycling bin to the curb no earlier than 6 PM on Wednesday night and removed from the street by 9 PM on Thursday night. Not sure what you can recycle? Check out the Republic All-in-One Recycling page. Trash collection - what are the scheduled pickup days? Trash removal in Linton Crest is handled by Republic. Scheduled trash pickup days are Mondays and Thursdays, with recycling also being collected on Thursday. Please have your trash toter to the curb no earlier than 6 PM the night before pickup, and removed from the street by 9 p.m. on the day of pickup. Street light outage - how do we get it repaired? You report this directly to NOVEC via this link. Damaged / missing signs - who to call for repairs? What is the differentiation between Linton Crest and Innisbrooke? There was an issue with the wetlands in the section that is now known as Innisbrooke. The developers, in order to continue building while the wetland issue was resolved, relabeled one area "Innisbrooke" and continued building the "Linton Crest" areas. 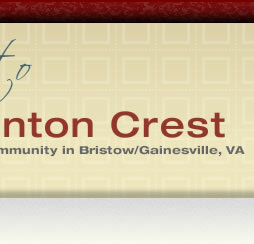 What utilities serve Linton Crest?